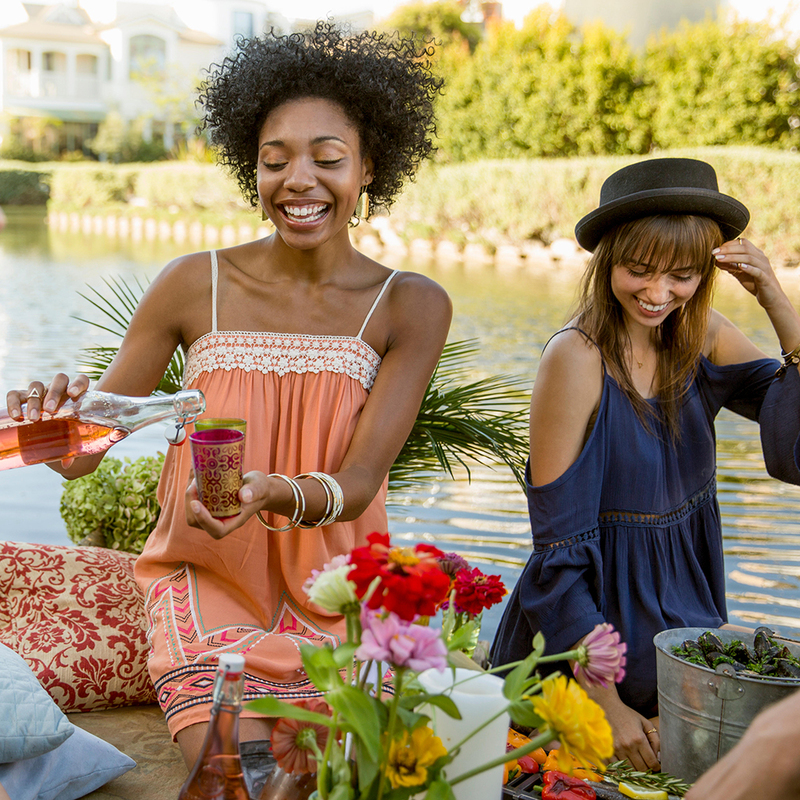 Drink your summer through rose-colored glasses. Taste comes first when it comes to food, but a visually appealing meal—plated beautifully or made with colorful ingredients—elevates any dish or its accompanying cocktail to the level of food-genius. So far, this has been the year of millennial pink—we’ve seen the soft pastel shade grace everything from Frappuccinos to pineapples. It's even appeared in pink sakura (aka cherry blossom) curry in Japan, and Black Tap built a candy-coated pink milkshake that would give you a sugar rush just by looking at it. Delicious flavors are good, but pink food—now that’s satisfying. Pink foods aside, however, when it comes to stepping up your summery cocktail game, you might want to add a splash of color to your glass. In honor of this soothing shade of pink taking over Instagram feeds and backyard parties everywhere, here are six ways you can drink millennial pink this summer. Gordon’s brand new pink gin is infused with strawberry and raspberry flavors, which will supposedly make for a sweeter gin and tonic than you're used to. This rose-colored whiskey is made with strawberries and flavored with citrus. Happy End makes this milky pastel-pink, strawberry-flavored drink they’ve dubbed “Unicorn Liquor.” The brand makes two other versions in colors you wouldn't expect to see in the liquor store: A turquoise coconut flavor, and a bright yellow banana flavor. The British Bottle Company creates this light pink gin by steeping raspberries in their triple distilled spirits. This dusty rose tequila—reminsicent of a summer sunset—is aged in barrels usually intended for Cabernet. When it comes to pink drinks, apparently gin is in. This pink gin is flavored with licorice, caraway, and fennel. With all of these pink-hued spirits to choose from, you'll also want to brush up a few gin cocktails or other mixed drinks to keep your summer looking rosy.